I am a 47 year old single professional mom of four. I started triathlons 8 years ago and completed my first Ironman in October 2017 in Louisville. I am excited to continue long course triathlons, with a sprinkling of short course and road races. 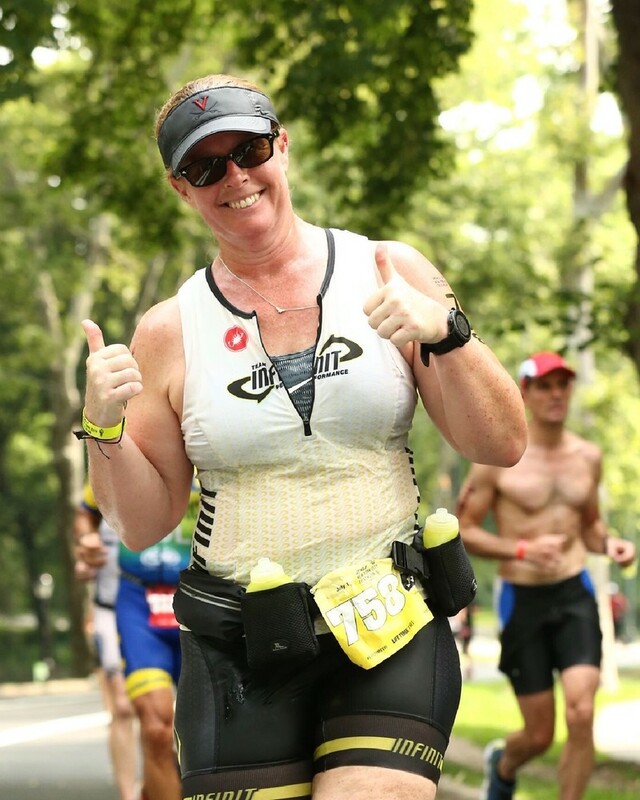 I completed the New York City triathlon in 2018 and hope to do the Marine Corps Marathon, Ironman Chattanooga, and Ironman 70.3 Virginia in 2019. I love and only use Infinit custom products for my races. It has been a game changer for me. I AM INFINIT!